(2) Subject to the conditions of warranty set out below, if an item of equipment or accessory fails to operate within it's warranty period and the equipment or accessory are returned to Tokentools Pty Ltd at the buyer’s expense, Tokentools Pty Ltd will repair or replace the equipment or accessory free of charge provided the failure is attributed to manufacturing workmanship or material failure. Modifications undertaken by the consumer such as grinding earth pins on input power supply plugs, neglect, abuse, incorrect use are excluded from this warranty.Return shipping of repaired products is at the buyers expense. (3) This warranty does not cover consumables such as electrodes, contact tips, nozzles, cups, shields, liners etc. (4) Sacrificial protective varistor devices that activate as a result of voltage spikes are not covered under warranty as they are deemed to have operated as designed. (5) This warranty is in force from 29/8/2011 and extends only to the products and their component parts as supplied by Tokentools Pty Ltd in their original configuration and does not apply if the products have been altered, converted or tampered with in any way. The product must not have had its serial number removed, defaced or changed, or its power cord altered. (5a) The bonus warranty may be revoked for changing the 15 amp plug unless you notify us. All single phase Tokentools welding machines have a factory fitted moulded 15 Amp plugs ensuring adequate power for welding use. An appropriate 15 amp outlet is required for correct operation. Should a 15 Amp plug be damaged and require replacement please notify Tokentools Pty Ltd of this and email your notification along with serial number to support@tokentools.com.au so that we may make record of this and continue your bonus warranty. Only a suitable and experienced person should undertake the replacement and it must be of the same type and capacity as the original. (6) Failure of the product must not be due to improper installation, adjustment, calibration or operation, connection to the wrong voltage, use on uimpropper extension leads with less than 2.5mm^2 copper conductors, inadequate or improper maintenance of the product, neglect or damage caused by users or other abuse or misuse of the product. ‘Misuse’ includes continuing to use the product after a defect or fault has been discovered. If a failure is attributed to the aformentionedonly the bonus warranty is voided. (7) Important note regarding TIG torches. TIG torches can be air-cooled or water-cooled. On larger welders a water-cooled torch is supplied as standard. Customers may choose an air-cooled torch for these larger units at their own choice and at their own risk. Failure of an air-cooled torch used on larger units due to overheating will not be covered under warranty. Failure of water-cooled torches due to use without water coolant will not be covered under warranty. (7) This warranty will not be available where unauthorised accessories including consumables, hardware, or software have been used with or installed in the product after delivery to the customer. (8) The bonus warranty period (1a) does not extend to fair wear and tear in which welding machines are subjected to daily commercial use. (9) Tokentools Pty Ltd will not be responsible for damage or loss caused during shipping. All goods are shipped insured and any claims for loss or damage are made through a third party by Tokentools Pty Ltd.
(10) Aside from any warranties implied by the Trade Practices Act 1974* (Cwlth) or Pt 6 of the Sale of Goods Act (NSW) or other state or territory equivalents, all other warranties express or implied and whether arising by virtue of statute or otherwise are hereby excluded. (11) Any product which is found to be faulty due to damage caused by users, abuse, misuse or improper installation will not be covered by this warranty and any repairs will be at the expense of the buyer. (12) Tokentools Pty Ltd reserves the right to determine whether to repair or replace faulty equipment or accessories and may in its discretion supply a new or factory reconditioned item as a replacement. (13) Any product that is repaired or replaced under warranty will be covered by a period equal to the remaining warranty period of the original product. (14) If during the bonus warranty period a product fails and a repair/replacement is not considered appropriate due to the age or condition of such product, Tokentools Pty Ltd reserves the right to buy back the product for its current market value. Value is determined by depreciating the product minus any original shipping fees at a rate of 15%pa in the first year and 30%pa in subsequent years. For example: Product A cost is $1699. It fails in year 5 of it's warranty. The remaining value of the product is $1699 - $70 freight = $1629 baseline. Remaining value = $1629 - (244.35 year one depreciation @ 15%) = $1384.65 - ($415.40 year two depreciation @ 30%) = $969.25 - ($290.78 year three depreciation @ 30%) = $678.47 - ($203.54 year 4 depreciation @ 30%) = $474.93 - ($142.48 year five depreciation @ 30%) = $332.45 Remaining Value. Product A would have a market value of $332.45 Inc GST. (14a) Buy Back. Should Tokentools Pty Ltd elect to buy back the product you have the right to refuse and the product will be returned to you at your cost. If a buy back offer is accepted you have the option to receive a payment or use the credit as payment against a new welder. Any credits used as payment against a new welder are are offered with an extra 10% incentive. For example. Product A remaining value is $332.45. If you elect to apply this value against the purchase of a new welder we will credit $365.70 inc GST toward such a purchase ($332.45+$33.25). (15) Subject to confirming with Tokentools Pty Ltd before returning the item, certain items such as torches, foot pedals and easily serviced parts may be individually returned for repair or replacement without returning the entire product. 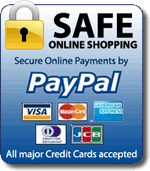 Purchasers should contact Tokentools Pty Ltd to confirm whether this option is available for the particular item. (16) The customer shall arrange return of the faulty product and bear any costs associated with such return to Tokentools Pty Ltd. It is the customer's responsibility to ensure that all products eligible for returns or warranty claims are packaged safely and insured appropriately as the customer remains liable for any damage caused during the return shipping. (17) The time taken to repair products may vary depending on the availability of parts in Australia. Parts may not always be available to repair older equipment, as availability will depend on the stock available from the manufacturer. 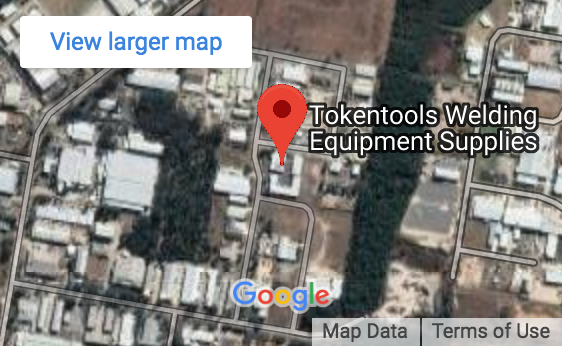 Tokentools Pty Ltd reserves the right to provide an equivalent replacement product (new or reconditioned) where it is unable to repair or obtain parts for a defective product. Tokentools products sold by Tokentools Pty Ltd are industrial products and are supplied for use in light industrial and light commercial activities not being everyday for extended periods of time. Customers are responsible for selecting the appropriate equipment for their particular purpose and Tokentools Pty Ltd does not warrant or guarantee that a particular Tokentools product selected by a customer will be fit for a customer’s particular chosen purposes. (19) Subject to the express warranty terms set out above and to the extent permitted by the Trade Practices Act 1974* (Cwlth) as amended from time to time and relevant state or territory legislation, Tokentools Pty Ltd sole obligation is to use reasonable endeavours to repair or replace or payout residual value (at its discretion) any part of a product which is found to be defective during the bonus warranty period and in no event shall Tokentools Pty Ltd be liable for any other claims or damages including, but not limited to, claims for faulty design, negligent or misleading advice, damages arising from loss or use of the products, and any indirect, special or consequential damages or injury to any person, corporation or other entity. c. the cost of having the goods repaired or replaced. J. Force majeure (49) Tokentools Pty Ltd is not be liable for default or failure in performance of its obligations pursuant to this agreement resulting directly or indirectly from acts of God, civil or military authority, acts of public enemy, war, accidents, fires, explosions, earthquakes, floods, the elements, strikes, labour disputes, shortage of suitable parts, components, materials including ink, chemicals and paper, labour or transportation or any other cause beyond the reasonable control of Tokentools Pty Ltd.